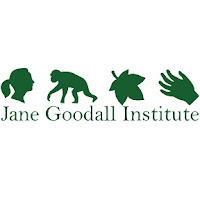 The Jane Goodall Institute is currently recruiting for a Chief of Party (COP) for a proposed USAID grant in Kigoma, Tanzania focused on strengthening the landscape-scale conservation in the western geographical landscape of Tanzania. The successful candidate must be a senior-level professional with a proven track record of successfully designing, implementing and managing USAID-funded conservation projects in geographical locations similar to western Tanzania. The USAID-funded Landscape Conservation in Western Tanzania Project intends to strengthen landscape scale conservation in the western geographical landscape of Tanzania. This will be achieved by developing a strategic landscape approach and building upon USAID’s previous and continued support to NRM and conservation in Western Tanzania. This is a five-year funded cooperative agreement under USAID. The Chief of Party will oversee all aspects of program implementation, including technical, financial and administrative management, monitoring and evaluation, and reporting; and ensure quality, impact and cost effectiveness of the program.